Nowhere to Run. Former Head of Ethiopia’s corruption-riddled Metals and Engineering Corporation (METEC), Brigadier General Kinfe Dagnew, has been arrested as he tries to flee the country. 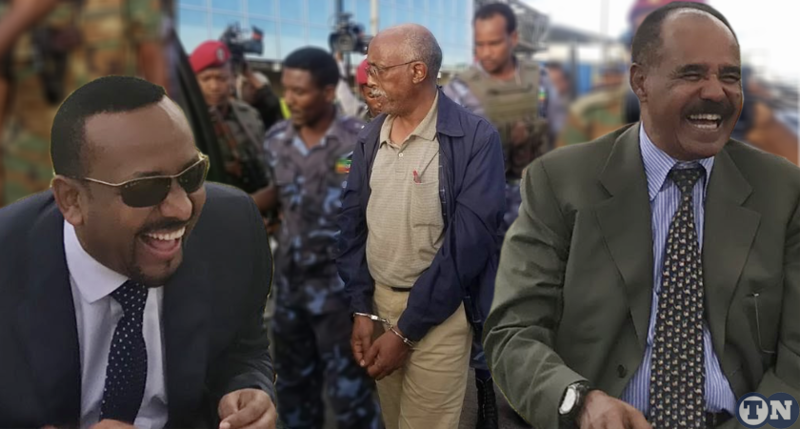 Ethiopia arrested the former head of the military-run industrial conglomerate – the Metals and Engineering Corporation (METEC) – as he tries to flee the country, state-run EBC reported on Tuesday. “Brigadier General Kinfe Dagnew, a suspect in the case, was apprehended around Humera,” the announcement said, referring to a town located at the border near Sudan and Eritrea. The General has been picked up by a military helicopter and flown into Addis Ababa, handcuffed. An arrest warrant was issued yesterday on Maj. Gen. Kinfe Dagnew and a number of other high-level officials and army generals whom the government says were responsible for the embezzlement of hundreds of millions of dollars and mismanagement of METEC. The Attorney General office alleges that METEC conducted domestic and international procurement worth USD $2 billion dollars without formal procedures, in some cases up to 400 percent higher than market prices. It is also alleged that ships and passenger aircraft were purchased and their whereabouts are not known. Major General Kinfe Dagnew resigned as head of METEC in April 2018, soon after Dr. Abiy Ahmed became the new Prime Minister of Ethiopia. There are other reports indicating that Major General Tekleberhan Woldearegay, founder and former head of the Information Network Security Agency (INSA), is also arrested this morning while trying to flee to Sudan through Humera. Established in 2010, METEC was run by army generals of the Tigray People’s Liberation Front (TPLF) until recently.